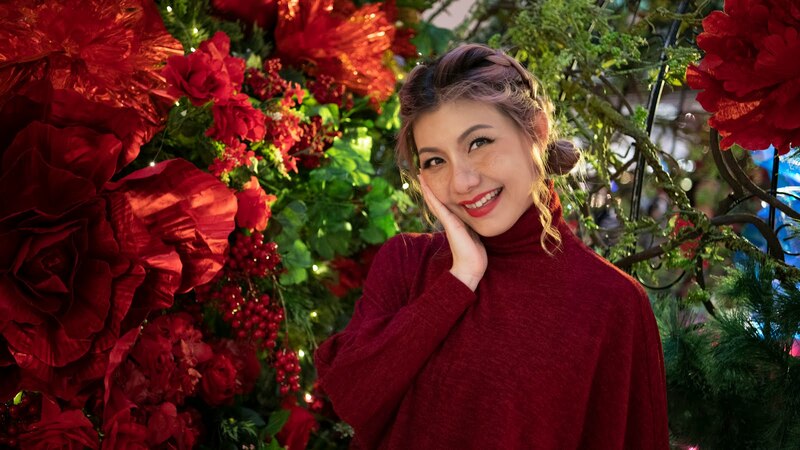 Merdeka! Merdeka! Happy 60th Merdeka! 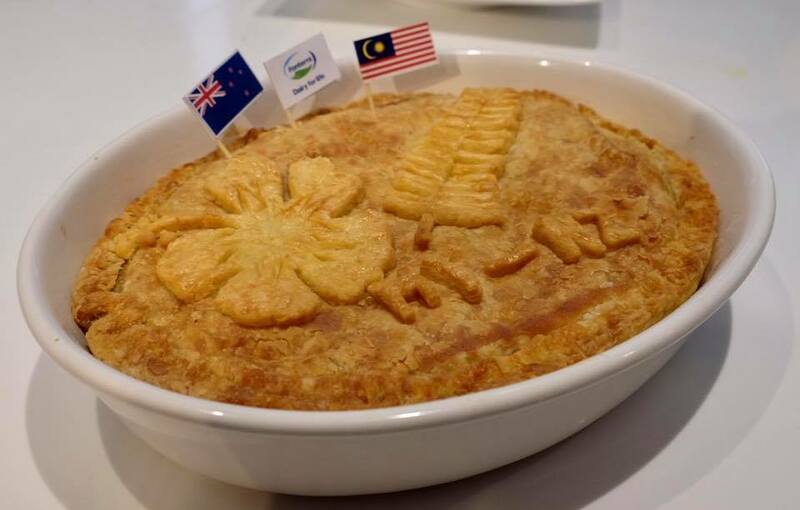 In conjunction with Merdeka Day, Fonterra Brands Malaysia has come up with two unique fusion dishes namely Roti Jala with New Zealand Lamb Tandoori and Kiwi Venison Rendang Meat Pie with Potatoes and Mushroom to commemorate 60 years of Malaysia - New Zealand diplomatic ties. 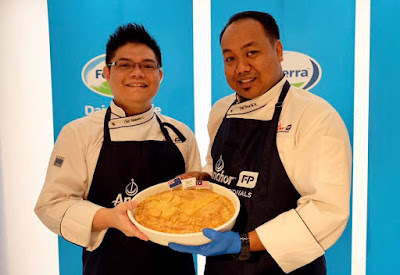 The recipe developed by chefs from Fonterra's foodservices division Anchor Food Professionals showcases the iconic flavours of both countries representing harmonious and long-standing friendship between Malaysia and New Zealand. 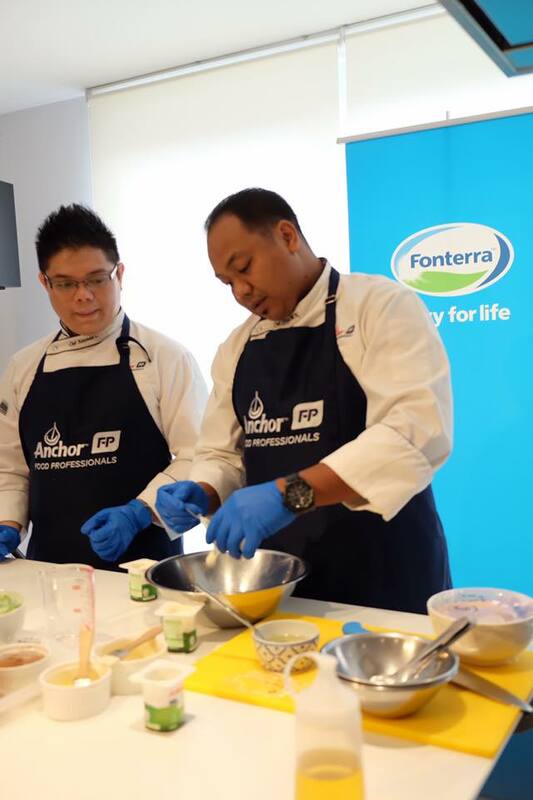 Fonterra, the world’s largest dairy exporter and New Zealand’s largest investor in Malaysia provide the best dairy nutrition to Malaysians through leading brands such as Anlene, Fernleaf, Anmum (Materna, Essential and Lacta) and Anchor. The two dishes were made with ingredients from New Zealand and Malaysia, as well as Anchor and Anlene products. Inspired by New Zealand’s iconic meat pies, the Kiwi Venison Rendang Meat Pie with Potatoes and Mushroom is made witha Venison Rendang filling, as well as a generous dose of dairy with Anchor Extra Yield Cream, Anchor Unsalted Butter, Anchor Colby and Cheddar cheeses and Anchor Mozzarella Shredded Cheese. 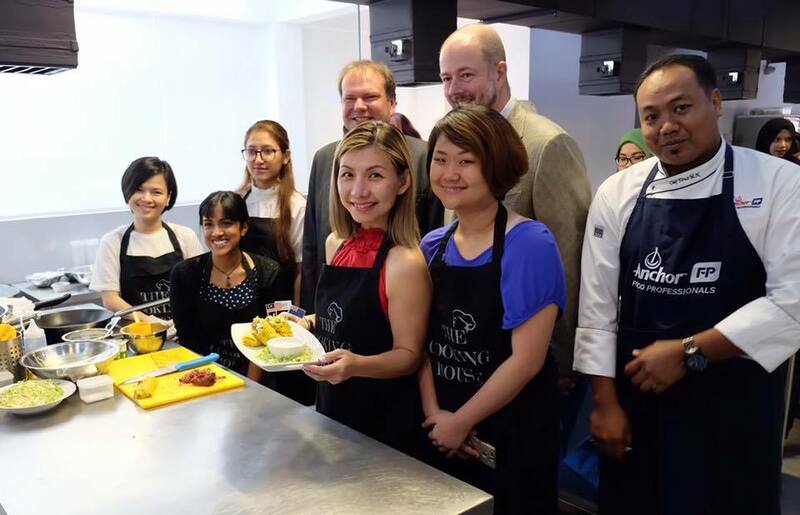 We had the chance to experience hands-on making Roti Jala with New Zealand Lamb Tandoori and totally loving it. Here's the recipe if you interested to try. Sift plain flour, salt and turmeric into a medium-sized mixing bowl. 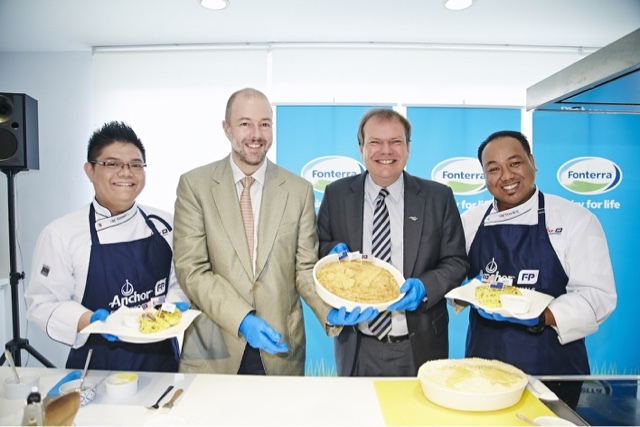 Stir in water, egg, Anchor Extra Yield and mix the batter. Heat a non-stick pan over medium heat and brush surface lightly with oil. 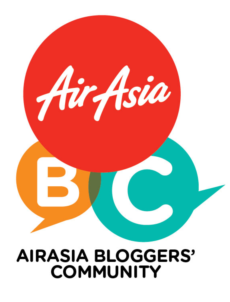 Once roti jala is lightly colored, remove using a spatula and place, top-side down, on a plate. Mix all Lamb Tandoori ingredients into a food processor and strain it well. Marinate the lamb leg with all the ingredients for Lamb Tandoori and keep it covered for a minimum of 12 hours in a refrigerator. Bake the marinated lamb tandoori until well done in texture. Slice thinly and coat it with the remaining tandoori sauce from the baking process. 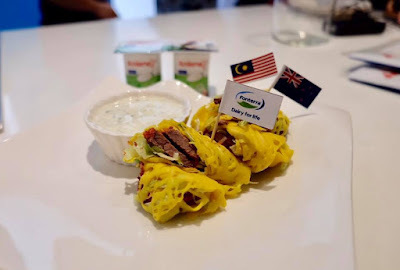 To assemble, place the finely sliced Iceberg lettuce and sliced lamb tandoori on the cooked roti jala, fold and roll them up like a spring roll. Serve it with the minty dips on the side. 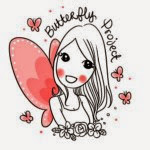 If you try it, do let me know how you like it. Till then, XOXO!